We have been Helping our farmers out for over 21 years fixing Hour Meter Problems! We work on John Deere, Case, Cat, New Holland, White, Etc. 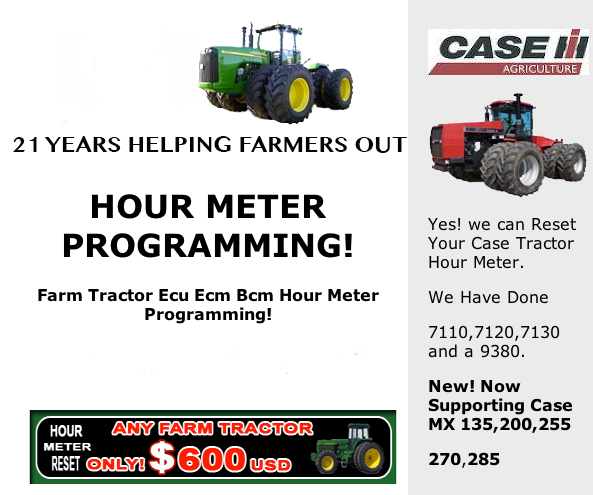 Canada or Canadian Hour Meter Repair on Farm Tractors like John Deere, Case, New Holland, Cat, White etc. Hour Meter Repair on Wheel Loaders, Dozers, Excavators, Combines, Cotton pickers,Hay bailer, etc, Calgary, Edmonton, Red Deer, Ft Mcmurray, Lethbridge, Medicine hat, Saskatchewan, Regina, Saskatoon. Nobody bigger in hour meter repair then us.